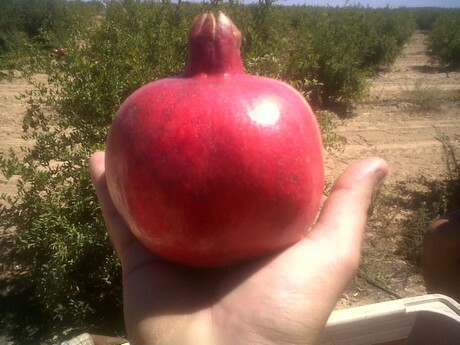 The weather in South Africa has been great for the cultivation of pomegranates this year, according to Brent Geddes of Pomona. “Not too much rain and constant temperatures, ideal for photosynthesis to occur. 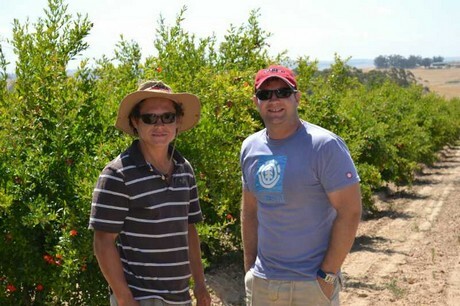 This meant the fruit ripened very quickly and we harvested about 2 weeks earlier than anticipated. This also meant that the fruit was slightly smaller than normal,” says Brent. Pomona currently has 106 hectares in production ranging from 4 to 6 years old, producing a harvest of 1200 tons, but due to certain pest issues, had to send quite a large portion of this to the juicers. The company is working on a project to increase the production by another 200 hectares within the next 12 months and are looking at other potential projects to increase that even further. 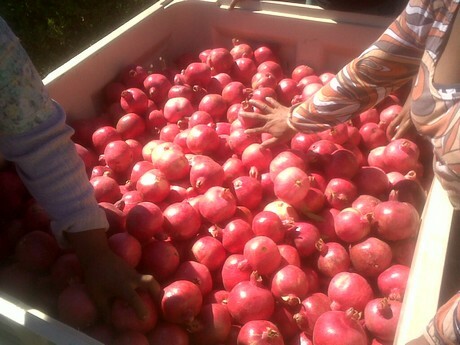 According to Brent, the pomegranate industry in South Africa is now moving from a very fledgling industry to one that is more mature and working well. 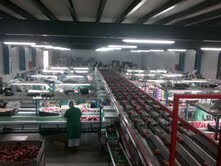 The company mainly exports to Europe and the UK, but has seen rapidly increasing demand from the Middle East and Asia. According to Brent, the introduction of new varieties and improved storage has lead to a longer and larger season, but has also lead to increased competition from countries like India due to a seasonal overlap. 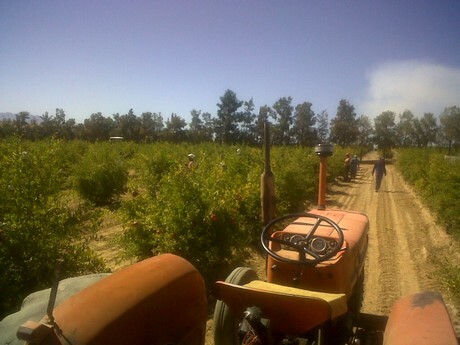 He believes South Africa is an ideal place to grow pomegranates, due to the fertile soil and easy access to water for the crops, as well as economic benefits for export. “The infrastructure and knowledge of farming is just about the best in the world and there is a vast pool of labour to tap into. The weak Rand is also helping the revenue line for fruit exporters. The biggest challenge in South Africa is access to finance to grow your business in the early part of your lifecycle. As farming has so many variables and such a long term investment, there are very few financial institutions willing to take on the credit,” he concludes.